This is the gym we taped most of our muay thai video instructions with. First of all a big Thank You! 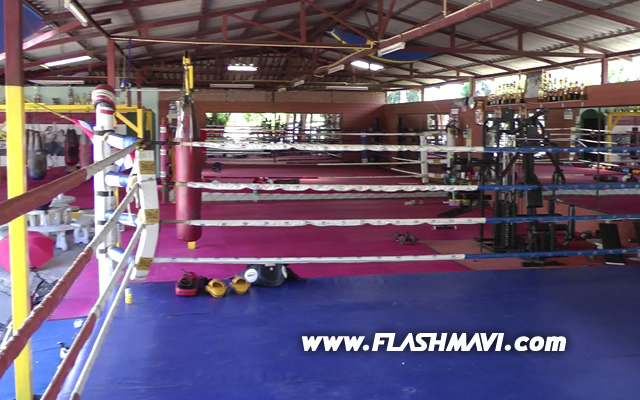 Muay Thai Santai is located in San Kam Phaeng, Chiang Mai, about 20km east from the Chiang Mai city center. You will train in a friendly family environment where nobody tries to be the tough guy, and their coaches will give you some one-on-one time in every training session. If you are on a low budget, you can live in a dorm at the gym, which would make Muay Thai Santai one of the cheapest gyms in Thailand. I also found it great that there is very little traffic around the gym . There is not much distraction and you can fully focus on your training. However, if you need some party time on the weekend, you can go to Chiang Mai (15-20 minutes on a moped). At Muay Thai Santai, they work out twice a day and 6 days a week. The morning workout usually begins at 5:45 am and starts with a 5-7km run. Btw, If you just want to get in shape, or 7km sounds like too much for you, you can also stay at the gym and jump the rope. The morning workout is short (a bit over an hour), but very important. Because there are less students in the morning, you will get more one-on-one time with one of the coaches, and that's what will really improve your technique. The afternoon workout is almost 3 hours and also starts with a run. BTW, if you want to fight in Chiang Mai, they can organize a fight for you. Their own fighters have fights almost every weekend and win most of them (at least they won all their fights when I was there). Everybody! It doesn't matter if you are new to muay thai or if you have practiced for years. Muay Thai Santai will be a fit. There is no age limit and you can also go there to lose weight or just to get to know Muay Thai. I would not recommend this gym to free-fighters, cage fighters. They don't teach Brazilian jujitsu or other martial arts. Muay Thai Santai is a muay thai only gym. Girls can also train there. The focus a lot on clinching (neck wrestling) techniques and their clinching trainer Kru Doh is quite famous for his technique. Kru Phon is their head coach, and he is good at everything. They don't just stant in a corner and watch you work out with another foreigner. They will actually train you. 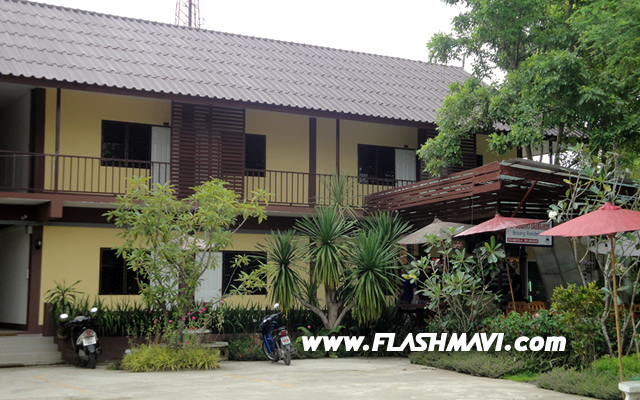 A nice big room with internet, private shower and cable tv costs 4500 Baht = 110 Euros. You can also stay at the gym for about half of that, but I'm not sure about the prices at the gym. The food in the Chiang Mai Area is very cheap. you can easily eat for 150 baht a day = 4 Euros. Email them and ask if they can pick you up at the Chiang Mai Train Station, the airport or your hotel in Chiang Mai. 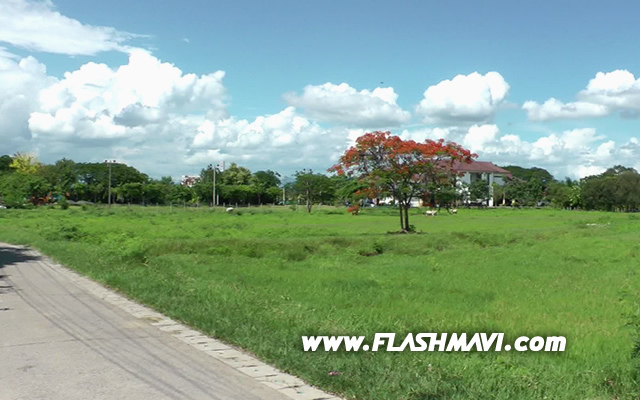 Take a Tuk Tuk to San Kam Phaeng. But careful with this one! You need to go to San Kam Phaeng. Most tuk tuk drivers don't leave the Chiang Mai City Center and if you say Santai Muay Thai, they only hear "Muay Thai", and bring you to the next best gym, AND THEN charge the gym a commission for bringing you. So if you don't want to end up in a gym where dogs piss on the mats and worms crawl out of the gloves, go with option 1 and give them a Pick-Up-Call! On the 7km warm-up run. Not much traffic around the gym. 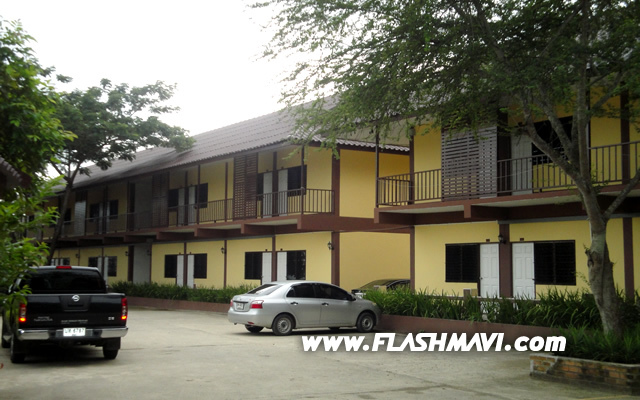 This is the 4500 Baht per month residence with cable TV and internet. Same place - This is in Bosang, 4 km from the gym. About half of the foreign students stay there, but you can also stay a few meters from the gym or at the gym.